Holes : 27. Length : 3032mts + 2943mts + 2903mts. Par : 3 x 36. 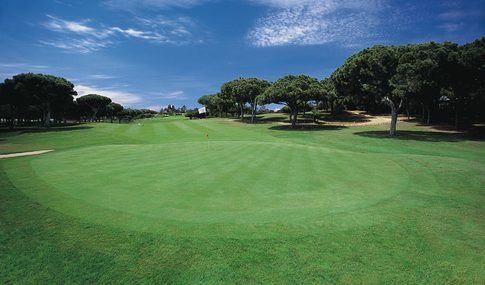 Features : Stretching along a naturally sculpted valley, the golf course has three nine hole loops of differing levels of difficulty. Facilities : Driving range, putting greens, chipping green, academy, club hire, trolleys, buggies. Location : On the East side of Vilamoura. See Map.